The Gray Blur is a big, good looking gray/roan colt . He is well-muscled with plenty of bone and leg on his 16.0 hand frame. 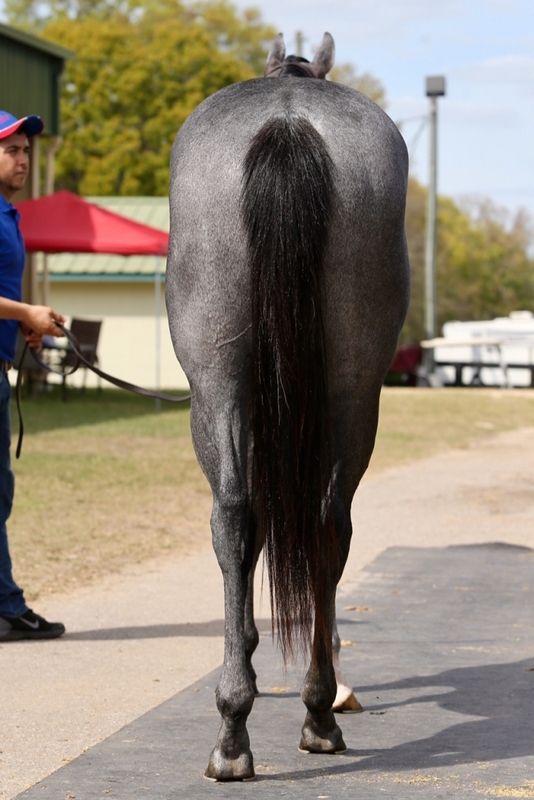 He used that big frame to record a very nice 10.1 second breeze (despite cross firing) at the recently concluded OBS March Two Year Olds In Training Sale. Still growing into his substantial frame, this colt shows great potential as a race horse on all surfaces. 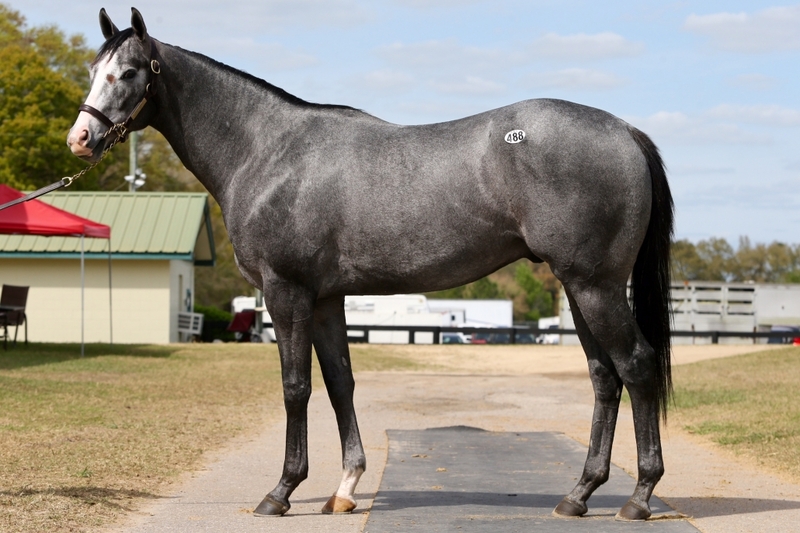 The sire of The Gray Blur is Grade 1 performer and stakes winner of $296,731, FAST ANNA. Fast Anna is by Leading Sire Medaglia d’Oro, the sire of 7 G1 winners in 2017, including two Breeders’ Cup winners. Out of Champion 2-year-old filly DREAMING OF ANNA ($2,024,550), winner of the Breeders’ Cup Juvenile Fillies (G1) during her undefeated 2-year-old season. She is out of a half-sister to champion sire KITTEN’S JOY. There are 3 millionaires and 5 MGSWs under his first three dams! 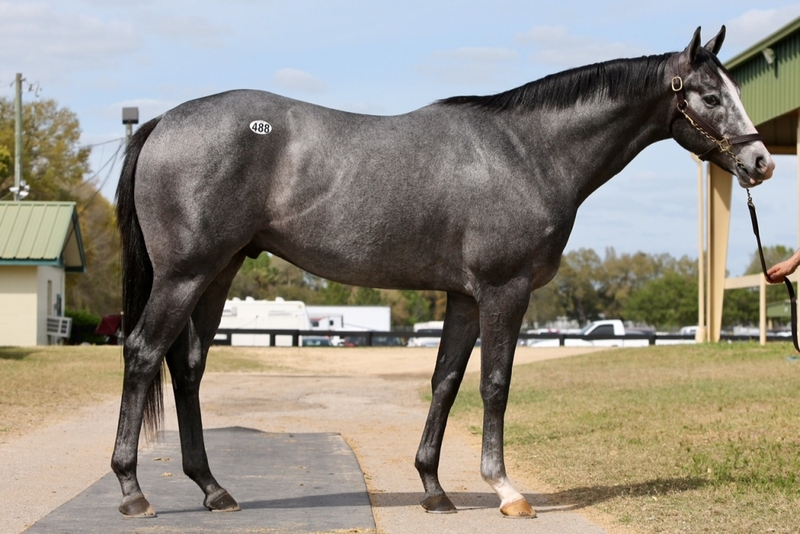 The Gray Blur’s 1st dam, Special Grayce, was as Graded Stakes-placed earner of $124,129 and is by highly successful broodmare sire, SMART STRIKE. 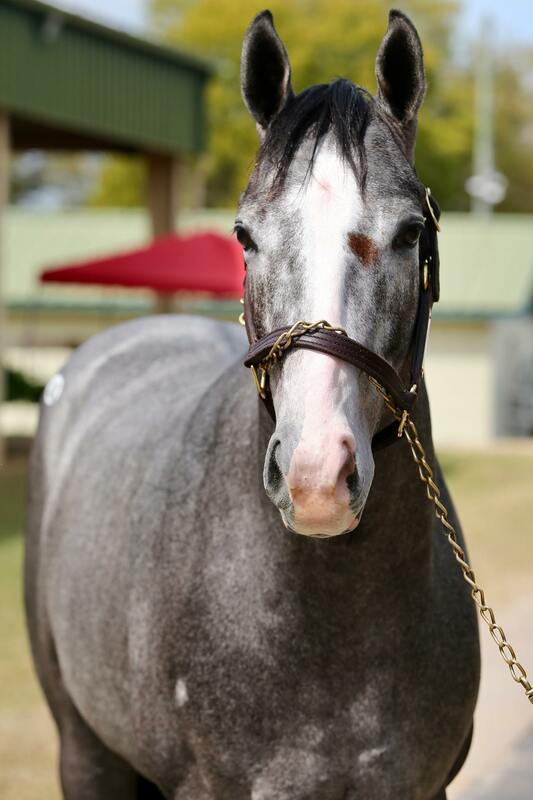 She is the dam of 4 winners including Stakes-placed On Her Honor ($93,812) and is half-sister to Stakes-placed Trust Your Luck ($85,911). Plenty of black-type in the rest of the pedigree with the likes of Grade 1 winner EVER A FRIEND ($692,406) under the 3rd Dam among others. Click on the Pedigree button above for complete details. 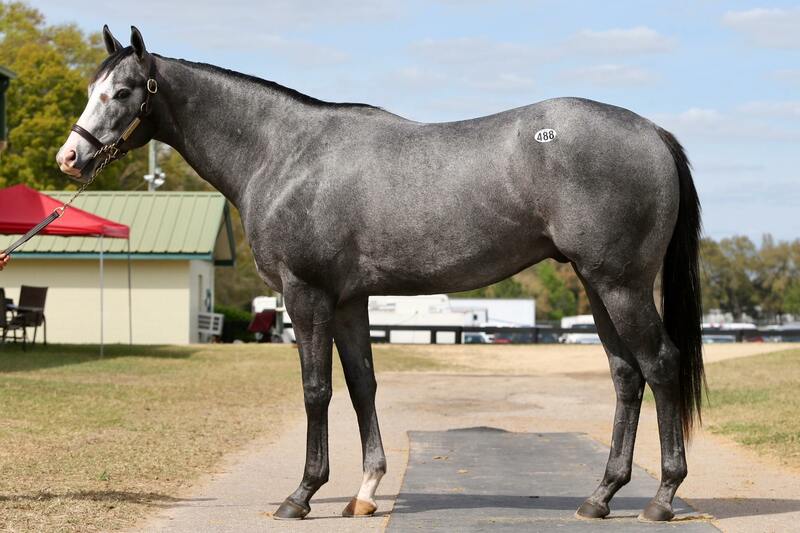 The Gray Blur is currently in training at Keeneland to gear up for a 2 year-old campaign. 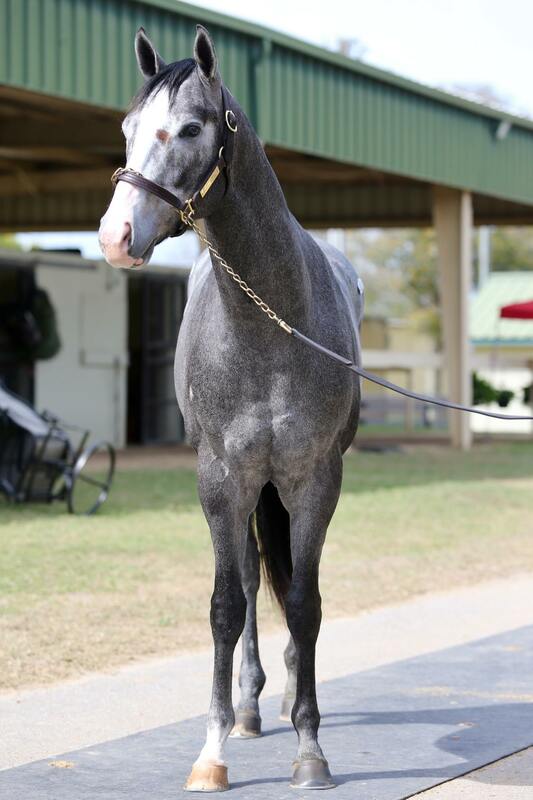 He’ll spend the late spring/summer at Arlington Park and will be trained by impressive young trainer, Chris Davis. 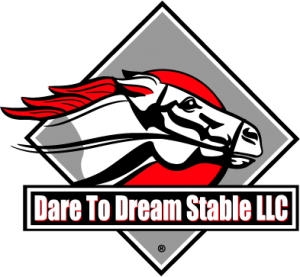 From that Arlington Park base in the summer, he will also be able to conveniently run at Churchill Downs and Indiana Downs when & if appropriate. 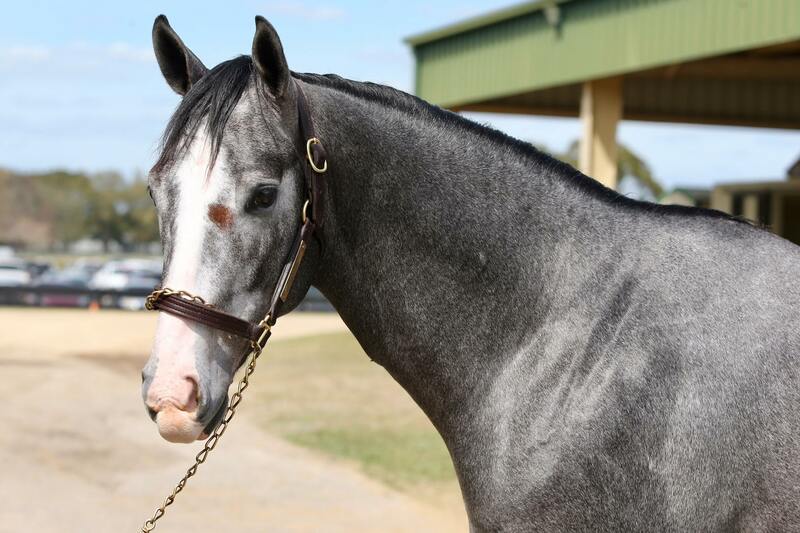 Winters will be spent based at Fair Grounds in New Orleans where he can also ship conveniently to Oaklawn Park when appropriate. Early springs will find him based at Keeneland.